With click.to it’s easy. Simply highlight the web table from the top right to the bottom left and hit Ctrl+C or right click -> copy. 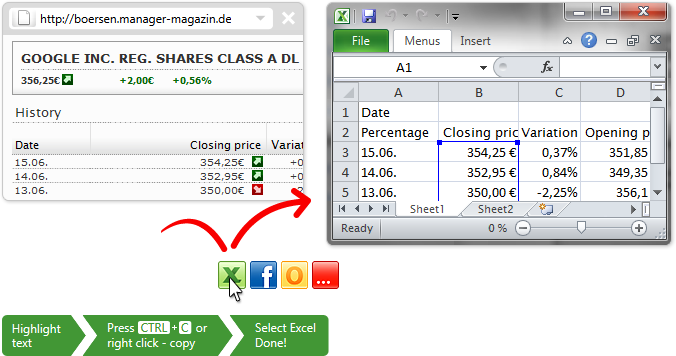 A click.to Excel, and all the data is opened as a table in Excel. And that’s it, you use the same process for any Excel spreadsheet, you can also continue working with the data, for example, you can create graphs or calculate relative percentages - anything you need.